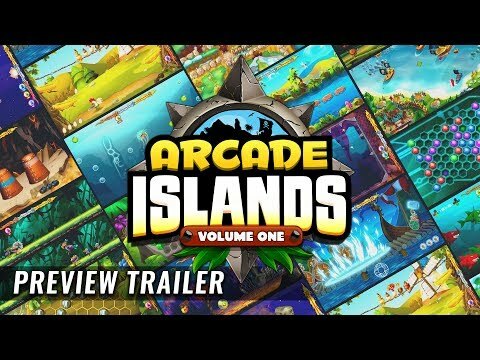 Arcade Islands: Volume One features six exotic islands filled with fun games and treasure waiting for adventurers of all skill levels. Players can explore the islands solo, invite a group of friends over for some local co-op and competitive gameplay, or round up the troops for some wholesome family gaming. Players race across island maps in their quest to be crowned Island Ruler, discover Treasure to proudly display in their Treasure Hut, and topple their friend's scores and the scores of players from around the world to gain online leaderboard fame. In the process, players will unlock new islands filled with a variety of new games. Fill up the Treasure Hut with Treasure from all 33 games and become the ultimate master of Arcade Islands: Volume One! Arcade Islands: Volume One was released on PS4 and Xbox One 229d ago in the US and the UK. Notify me when Arcade Islands: Volume One is available.